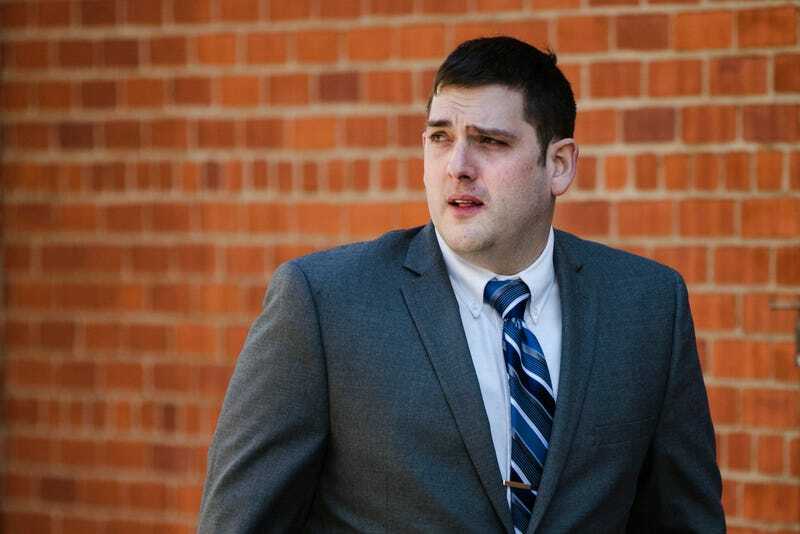 The Associated Press reports that lawyers for 30-year-old Michael Rosfeld are expected to say that the June 2018 shooting of 17-year-old Antwon Rose II was justified. Rosfeld is charged with one count of criminal homicide. A jury of six men and six women—including three black jurors—has been sequestered and in a Pittsburgh hotel for the duration of the trial and will hear evidence in the case and decide Rosfeld’s fate. Rosfeld had just been sworn into the East Pittsburgh Police Department hours before he shot Rose on June 19, 2018, after a traffic stop. Rose was a passenger in a vehicle suspected of having been involved in an earlier drive-by shooting in North Braddock. When the driver was told to exit the vehicle, Rose and another passenger—Zaijuan Hester—took off running. That’s when Rosfeld shot Antwon three times in the back. Police have confirmed that Antwon was not armed when he was shot. “He didn’t flinch. He didn’t say, ‘Stop running.’ He didn’t say anything,” she said. Rosfeld claimed he thought Rose had a gun, but police have noted that Rosfeld gave conflicting stories as to what happened. There was no weapon found on Rose when he was killed. Hester, 18, was later arrested for the drive-by shooting. In court Friday, he pleaded guilty to aggravated assault and firearms violations for the incident and told a judge that it was he, and not Rose, who did the shooting. According to AP, the judge ruled that jurors in Rosfeld’s case will hear evidence of the drive-by shooting. Of course, defense attorneys have tried to paint Rosfeld as a sympathetic character. The East Pittsburgh Police Department has since been shut down, and the state police have taken over to cover its former territory.